Mighty Greens contains apple, celery, cucumber, kale, collard greens, lemon, peppermint tea, spearmint tea, spinach, ginger, spirulina, chlorella, barley grass and alfalfa grass. Basically all the goodness to keep your body fueled and going strong throughout the day. 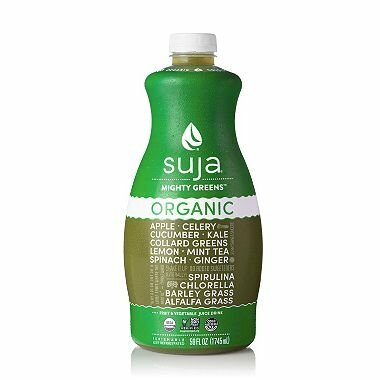 If you have any questions about this product by Suja, contact us by completing and submitting the form below. If you are looking for a specif part number, please include it with your message.